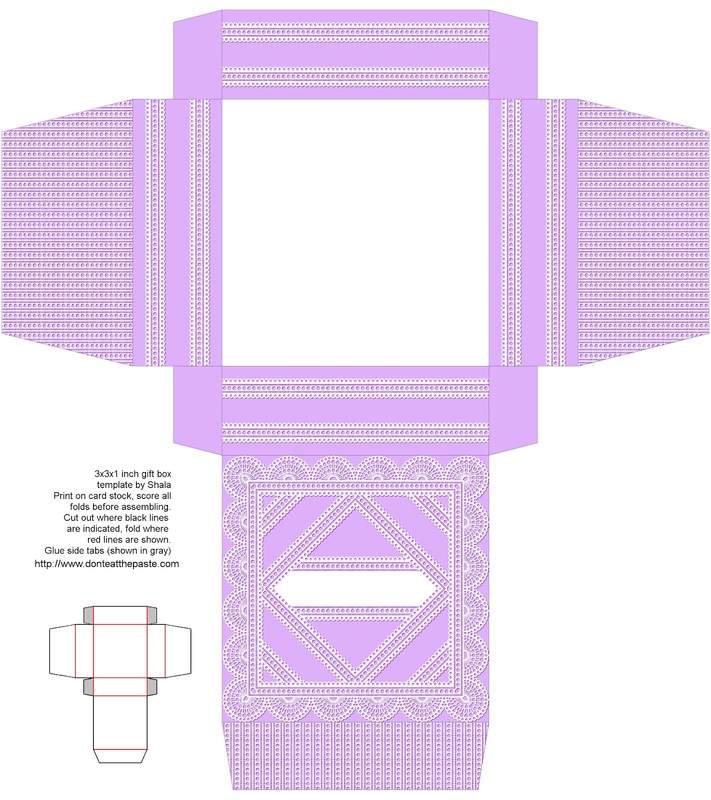 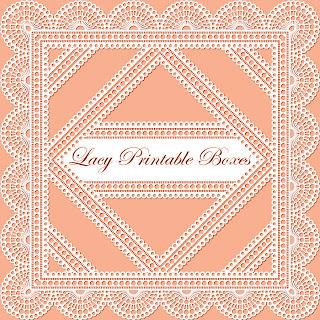 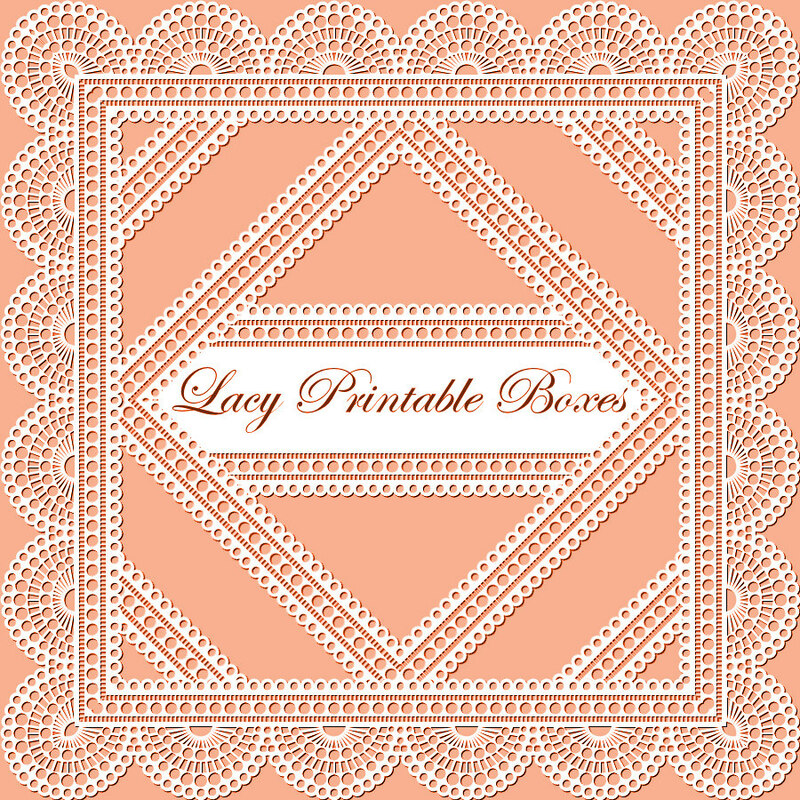 I think this printable box would be good for bridal showers, tea parties and princess parties. It's in 4 colors but as usual with these sorts of designs, if there is a color you'd really like, let me know. Click on the images for the larger versions, print, cut, score, fold, glue.